As opposed to a BFF, a GFF is simply Great Friends Forever. The concept of a BEST friend has always bothered me because by definition, it diminishes your other friends. Only one can be the best, which means the others must be less than. There is plenty of room in life to have many GREAT friends of equal importance to you in as many ways as there are people. That is the amazing thing about love. No two are the same, there is an infinite supply, and the more you give away, the more you get in return. I write this on a snowy day after an afternoon spent with my childhood friends. I am sitting on the train smiling with the sweetness of our laughter still playing upon my lips along with the cappuccino ice cream we shared for dessert. The best thing about having life-long friends is that you never forget your roots. Regardless of the paths we’ve taken, when we get together we are in every respect the same young girls who composed our theme song and proudly christened ourselves The Insuranettes. We share a bond that is undoubtedly unique as is any friendship. Over the years I have also developed other close friendships whose names reflect the nature of their dynamic: the Wonderettes, the Lunch Bunch and the Bible Babes are just a few examples. 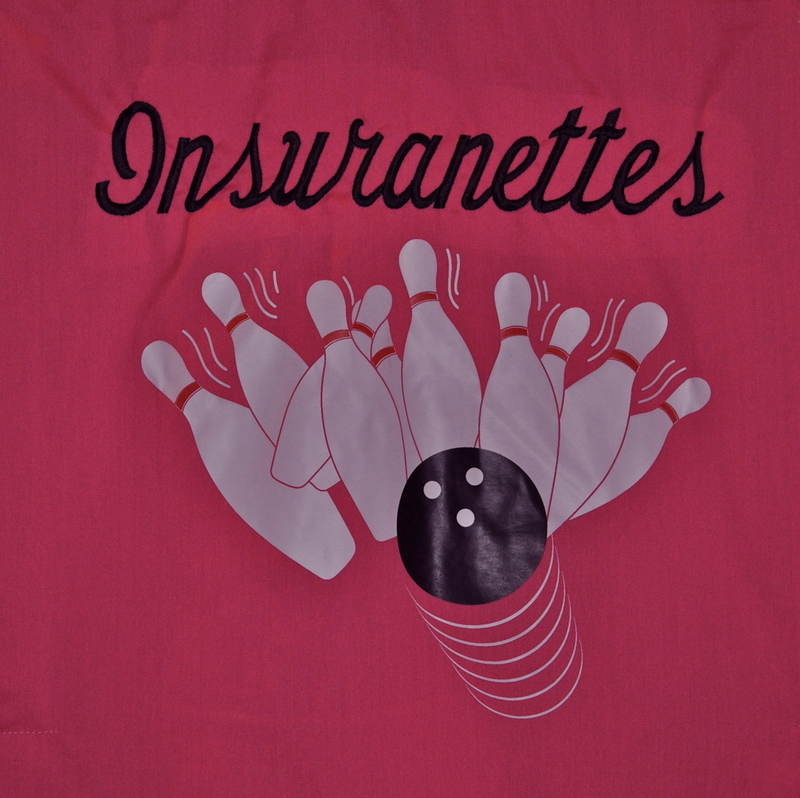 Our name, The Insuranettes, was born out of sheer boredom on one of the hundreds of afternoons we loitered on the stoop of the insurance company around the corner from our school in Brooklyn. Though the name came much later, the friendship was conceived in first grade. Some joined in second grade, some even later, and I can’t actually remember when the eight of us solidified as a definitive group. All I know is that this group of eight girls, then teens, then young women, and now middle-aged women came of age together and continue to do so. We went through all our ‘firsts’ together, our first kiss, first date, etc. If I didn’t know something, it was to them I turned. I remember being on a date and being asked something I didn’t understand. I excused myself, went to a payphone (remember them?) and still recall blushing profusely when they explained what I had just been asked. We rode the rollcoaster of life together watching each other graduate, marry, divorce, marry again, have babies, go through health challenges, anguish over our families, bury parents and siblings, and any other number of life events. So what did we talk about for five hours on that snowy afternoon? Our choices and how they shaped our lives. We all made our share of good and bad ones, and were equally amazed as we reflected on both. We all agreed we wouldn’t change a thing (except maybe a haircut or two) as they shaped the women we became. I sat there thinking this was a timely visit following the launch of the Choose Wisely! website. The consensus regarding our youth was that we are lucky we survived. Choices to go sledding on “Dead Man’s Hill” which ended on the Belt Parkway, choices to hitchhike and some of the crazy situations we found ourselves in, choices in boyfriends, spouses, fashion faux pas, just to name a few. In fact, they all seem to remember a lot more about me than I do – and none of it complimentary. For instance, they insist I use to wear a leather bustier, but unless one of them can produce a photo, I will stick with my own selective memory. There is nothing safer than being in a relationship with someone who knows EVERYTHING about you yet still remains a loyal friend. There is a certain freedom to be yourself that comes easily and naturally, which is why even though we do not see each other on a daily basis, we slip back into our camaraderie like one might slip into a pair of their favorite jeans, old and worn out but comfortable because they fit just right. For our 50th birthdays, we all bought an infinity necklace whose meaning is twofold: It looks like an eight, the number of members in our group, and the infinity signifies the lasting nature of our friendship. How ironic that just three years later the infinity sign would become an integral part of the Choose Wisely! logo. There is no doubt that choosing your friends will be some of the most important choices you make in life. Why? W. Clement Stone explains, “Be careful of the environment you choose for it will shape you; be careful the friends you choose for you will become like them." These women watched me make horrendous choices but were like a homing beacon to remind me of who I was and of the values instilled through a common upbringing and years of Catholic school. Yes, I was rebellious, but the fact that they and my family never wavered in their love for me despite my choices gave me the assurance to finally acknowledge and accept the values I had been taught as my own. Maybe The Assuranettes would have been a more appropriate name for us. I have often wondered if I hadn’t been taken out of the security of that group when I was entering high school whether I would have made better choices simply because of their influence and the security they provided. I will never know. It is a moot issue. I had no control over the decision to move away, and I am sorry to say my response was not a healthy one. The anger about being taken out of that community led me down a self-destructive path that lasted for years. In hindsight, I can see it clearly now but couldn’t have told you at the time the reason for my rebellion. Though I returned to Brooklyn just three years later, those were damaging years that set me on a course I stubbornly chose to cling to for years. The litany of bad choices I made during that time is legendary, but the choice to turn back and embrace the very things I was rebelling against has got to be the best decision I’ve ever made. Today I am a product of the Catholic upbringing, the values and the loyal friendships that were played out once upon a time on a building stoop in Brooklyn and are still being played out in our lives and in the lives of those we touch. So many people come in and out of our lives - maybe for a moment or maybe for a lifetime. Regardless, all leave their own imprint and unique story as part of the tapestry of our life. Do you have a friendship story to share? A broken friendship? A reconciled friendship? A beautiful friendship? Why not choose to write one to honor it, cherish it, mourn it or maybe even bury it?